Corporate brochure: Manhattan Consultants, Inc. 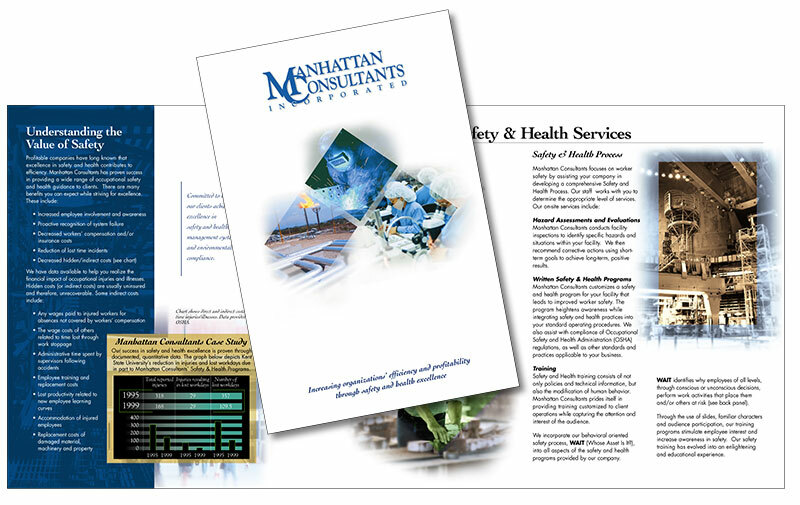 This corporate brochure for Manhattan Consultants established their branding in the safety and health industry in Northern Ohio. Method of Operation – what to expect when working with MC. Next, came the logo design. We decided on “corporate, but a bit of flair”. This idea permeated through the brochure design, and we gave them a sophisticated but edgy look as their clientele are primarily industrial.